So many old faces back at the igloo!! I'm not sure on the falsetto either, but overall I really like the new song. And I'm beyond excited for the new album! "It's not perfect, but it's mine." Location: Where the mountains meet the sea - Wales! It doesn't sound mixed or mastered correctly...anyone else feel the same? There were bits that didn't sound right to me, but put it down to my slightly damaged headphones at the time. Apologies if I'm about to show my ignorance in techy stuff, but I've noticed that the song sounds much better when streaming Zane Lowe's show in comparison to the the download. Just thought it was a bit odd. I was tempted to get the limited edition wooden cover, but 30 euro with 15 delivery, i think i'll pass. Why doesn't he just strike a deal with Apple and release it for free like his buddy Bono. I'm so happy that Damien has finally achieved this album! I've pre-ordered the whole Deluxe Box set and listened the single as many of you and I have to say that I was very surprised by his voice first (sometimes I couldn't help thinking about James Blunt... ), so high and fragile in a sense but that's great and change is good too but I really wait for songs with wilder tones, less clean, the way I prefer Damien. What I've loved the most in this song is the richness of the music, he put everything in it and it's so beautiful, every instrument finds its place and at the end it sounds amazing! So glad and proud that his talent shines like that at the first song as we know singles from most artists and bands are not often best songs. Thanks a lot for posting the lyrics, my limited english gave me only an idea of the meaning of this song, now I can totally dive into it! Nice to be back again. I must say I enjoy the alternative version a bit more with the deeper voice. Consequence of Sound rated it the #1 song of the week. I like that blog and generally think they know what they are talking about. I couldn't agree more about MFFF. Last edited by mattministrator; 09-14-2014 at 07:08 AM. Thanks for the chords and lyrics. I'm hearing this at the end. To give credit where it's due, I copied the lyrics from Cremallero's post on the first page of this thread. Yes, thereby completely ignoring the corrections that were already carefully made to those lyrics in the last bridge and perpetuating the wrong ones. And I'll never love etc. etc. Wow! great stuff there, Matt. Love how just one track can bring together a community and get people buzzing with excitement and agitation. Cannot wait for the record. I'm still not sure about those last lines, I'm hearing something else..
@mattministrator - thank you for the chords! the E sounds a little off to me, but I can't figure out anything that fits better. Maybe it's an E diminished or something.. 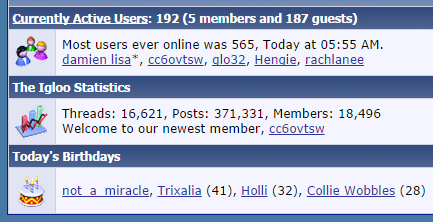 I was a member on here many moons ago. I think was just Charcoal, and was there something with passwords or was that boards, I don't know. Does anyone else feel like their lives may have moved on a little too much to go back to angsty Damien Rice at this stage? Thanks Sister Midnight I prefer the deeper voice. Maybe this will be the album version, with the higher being the single version. One can hope. Hey ho, eskimo friends. My first post here. I've just sit with my guitar and tried to figure out how is this tune played. The guy who played next to Damien at Charles Bridge. The alternate Youtube version really sounds so much better than the album version, to me. I wouldn't be surprised if most fans agree. It looks like live might be the best way to hear this album, but we shall see. I can't believe it's actually happening...was gettin' into Axl Rose territory. Does anyone know where it was recorded? It was recorded in Los Angeles and Iceland, I read it somewhere. Think the unrecorded version is better for me but still love this version, needless to say the song absolutely up to the highest standard re the lyrics and the music. I really love this man, he has completely changed my life, what I feel shame is why I didn't find his music earlier so I could be enlightened by him to have a more amazing life. But so much thank him for entering into my life and saving me from being anyone else except myself.